Showing results by author "Glenn Geher PhD"
By: Helen Fisher PhD. (foreword), Scott Barry Kaufman PhD., Glenn Geher PhD. Psychologists often paint a picture of human mating as visceral, instinctual. But that's not the whole story. 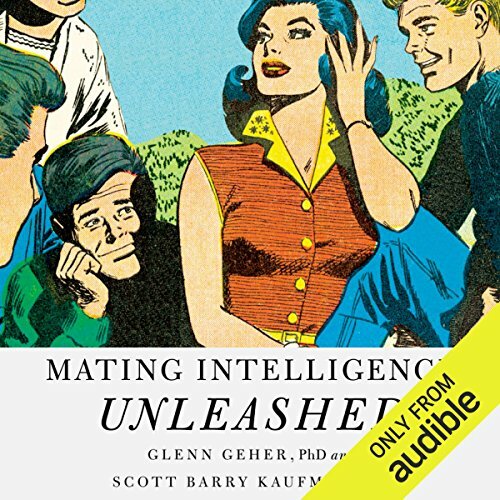 In courtship and display, sexual competition and rivalry, we are also guided by what Glenn Geher and Scott Barry Kaufman call Mating Intelligence - a range of mental abilities that have evolved to help us find the right partner. Mating Intelligence is at work in our efforts to form, maintain, and end relationships. It guides us in flirtation, foreplay, copulation, finding and choosing a mate, and many other behaviors.